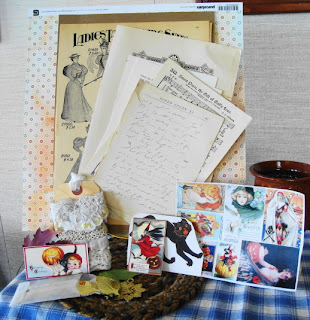 Vada's Blog Stamp Inks and Paper : A Special Thank You To Lynn Stevens. I’ve been gone so much as of late, now is my time to play catch up. I received a wonderful surprise in the mail here the other day, and (low and behold) I promptly put it up until I have free time to post, and wouldn’t you know, forgot about it. So my apologies go out to Lynn Stevens . Can you believe all this fun stuff and goodies for just being her 1,111 follower. 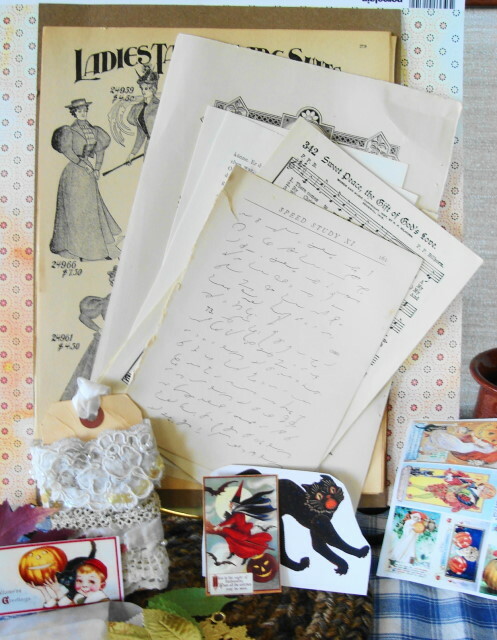 There’s Old Lace, Scripts of all kinds, sheet music and fun Halloween stuff. Some gold leaves along with real dried leaves. A sheet of Ladies Tailor Suits, A sheet of Sears Roebuck Pocket Watches. Thanks again Lynn. Lynn is so sweet like that! Congratulations on your happy mail, which I know will be beautifully used! Hugs! 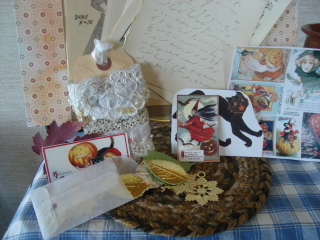 Lynn is one of the most generous ladies in the land of Blogs so I am not surprised she sent all these goodies to you. Now I want to see what you create with them. P.S. Thank you for commenting on my Shabby Girl tags.